Print this sheet out on label paper to make your own “I AM A CODER” stickers! Download “I AM A CODER” sheet as a PDF! Learn how binary numbers work by playing the same game Hopper and Eni play in Secret Coders! 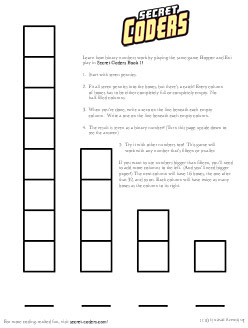 Download the “Binary Numbers” Game as a PDF! This two-page puzzle asks you to give lists of instructions (also known as programs) to a robot turtle! A great introduction to the concept of coding! 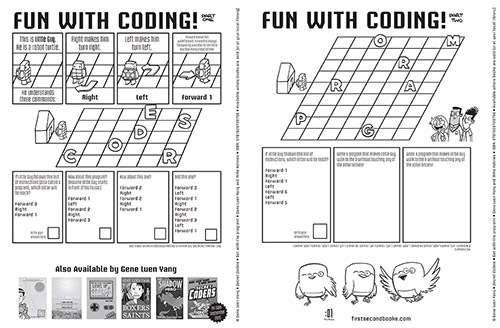 Download the “Fun with Coding” Puzzle as a PDF! Download the UCBLogo Installation Guide for MacOSX! Download the UCBLogo Installation Guide for Windows 7! Download the UCBLogo Installation Guide for Windows 10! If you have access to a 3d printer at your school, your local library, or your home, you can print a 3d model of Little Guy, the adorable robot turtle from Secret Coders! 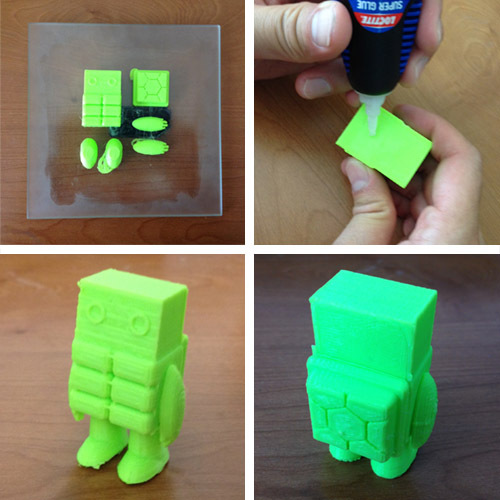 You can also purchase a print-on-demand Little Guy from Shapeways! Here are a video and some photos of a Little Guy that was printed on a 2nd generation Cube 3d printer.